On Friday, Feb. 2, the James B. Oswald Company went Red! 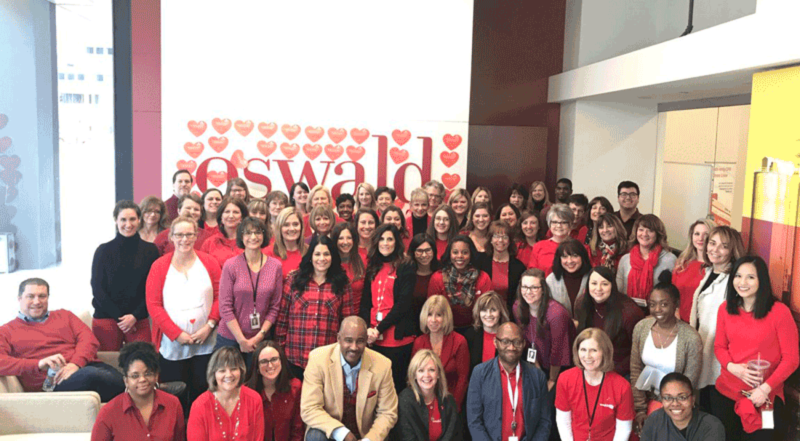 The Oswald Women’s Leadership Council brought the American Heart Association’s National Wear Red Day to the entire Oswald team. National Wear Red Day is held on the first Friday in February every year to raise awareness, support educational programs, and increase women’s awareness and research about cardiovascular health. Heart disease and stroke cause one in three deaths among women each year, killing approximately one woman every minute. 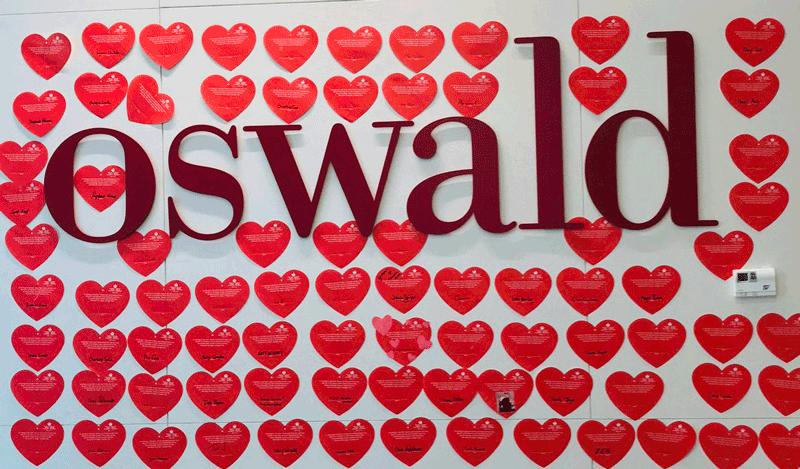 To raise awareness and money for the American Heart Association, Oswald employee-owners had the opportunity to buy a heart and personalize it to show their support. 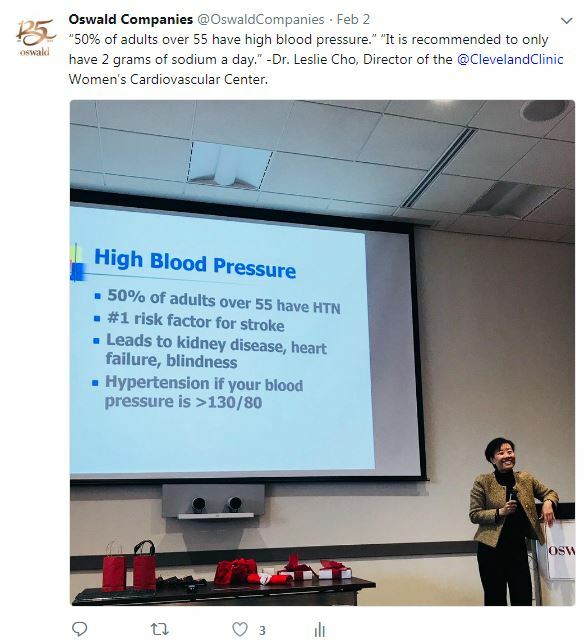 These were on display at Oswald Center during the Go Red activities on Feb. 2. Employee-owners gathered for a heart-healthy breakfast followed by an informative and entertaining presentation by Dr. Leslie Cho, Director of the Cleveland Clinic’s Women’s Cardiovascular Center and Section Head, Preventive Cardiology and Rehabilitation in the Robert and Suzanne Tomsich Department of Cardiovascular Medicine at the Cleveland Clinic. 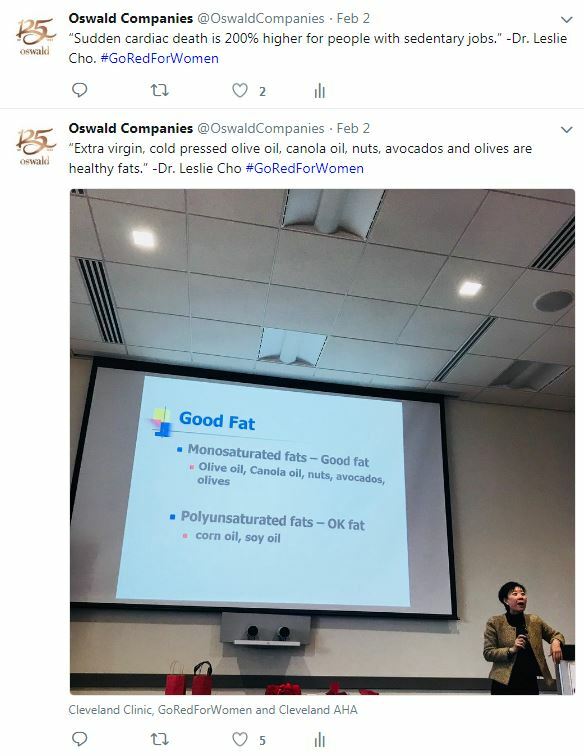 Dr. Cho was able to provide vital information to all employee-owners at Oswald’s HQ in Cleveland, as well as all of our branch locations via video conferencing. After a filling breakfast and informative meeting, the Oswald team joined together for a social media contest with the American Heart Association using the hashtag #ClevelandGoesRed. The Oswald team, one of the winners, will now be featured on the American Heart Association’s Wear Red Recognition Billboard located on Carnegie Ave., 200 feet West of E. 14th Street in downtown Cleveland. 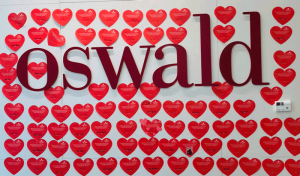 Click here to learn more about Oswald’s Commitment to Community. The Oswald Women’s Leadership Council, developed in 2013 to inspire females at all levels to empower, develop and advance, has focused its 2017 education efforts around Empowerment. Read earlier articles from the Council below.